The Galaxy web platform provides an integrated system for its users to run multiple computational tools, linking their output in order to perform sophisticated analysis without requiring any programming or installation of software beyond a modern web-browser. Analyses can be saved as reusable workflows, and shared with other Galaxy users, allowing them to easily perform the same analysis or protocol on their own data. We describe example Galaxy workflows for the identification of candidate pathogen effector proteins. 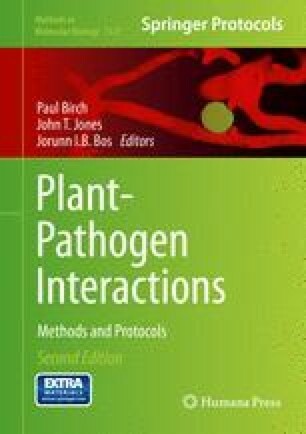 Our main example focuses on nematode plant pathogens where signal peptide and transmembrane prediction tools are used to identify predicted secreted proteins. The James Hutton Institute receives funding from the Scottish Government.